I was born in Toronto, Canada and grew up in Cambridge (UK). I did my undergraduate degree in Literae Humaniores at Corpus Christi College, Oxford and then moved for my postgraduate work to Cambridge. I did my M.Phil. 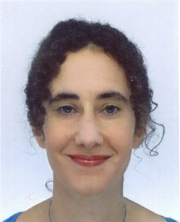 and Ph.D. at Clare Hall and had a post doc at St Edmund’s College, before being appointed at Reading in 2006. My current research interests stem from my Catholic and Jewish background and my particular interest in Classics, Medieval History and the politics of the Middle East. They include the history of crusading, Jewish-Christian relations, the medieval Church, the papacy, religious belief and political ideas in the Central Middle Ages. 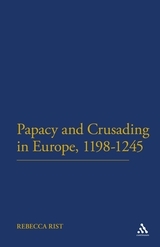 My book, The Papacy and Crusading in Europe, 1198-1245 (Continuum, 2009), examined the papacy’s authorisation of crusades against heretics and political enemies in Europe during the first half of the thirteenth century. Recent articles and a sourcebook have explored aspects of papal policy with regard to crusading and the papacy’s treatment of heretics and Jews in the High Middle Ages. I am currently writing a book on the medieval papacy and the Jews.